Vitamin C Urine Test - Vitamin C is needed for proper immune system functioning, allergy management and antioxidant protection. This test assesses your body's stores of vitamin C and determines possible need. Adrenal Stress Urine Test - The adrenal gland is the "stress gland". Its job is to respond to stressors and enable the body to adapt easily. Long-term stress results in a decreased ability to respond to stress and subsequently an increase in symptom complaints. This test assesses the state of the adrenals and how much support is needed to return the body to a balanced state. Malabsorption Urine Test - Incomplete digestion can result in immune system compromise, allergies, gas and bloating, and overall general fatigue. The integrity of the gut is the body's first line of defence against disease. This test will evaluate your digestive effectiveness and give you valuable information about the condition of your digestive tract. 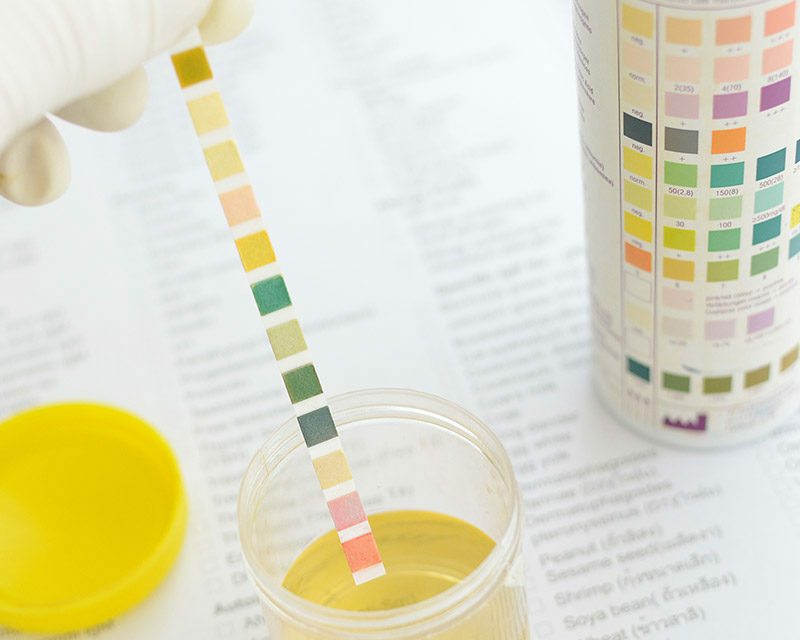 Calcium Urine Test - Calcium has long been known as the bone mineral, however, it is also very important for the nervous and muscular systems. Calcium excretion in the urine is used to assess how much of this mineral is being lost, and whether supplementation is required.